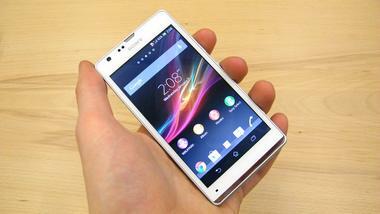 Sony Xperia SP is the latest Android Jelly Bean Phone from Sony. They have launched this Phone to attract people who are looking for the best Specs at a Price range of $500 or Rs 25000. Although, there are many options available in this range, like HTC One X+, LG Optimus G, Googlge Nexus 4. But still Sony Xperia has some distinct features and stands against these phones. Xperia SP features a Quad Band GSM/GPRS/EDGE compatible with 3G, HSDPA and LTE support. Powered by a new Dual Core 1.7Ghz Krait CPU with 1GB RAM paired with Adreno 320 GPU and Qualcomm S4 Pro MSM8960T chipset. Xperia SP features a 4.6inch 720P TFT screen with Sony Bravia Engine 2 and Corning Gorilla glass protection. 8MP camera boosts a 1080pHD recording @30fps with HDR mode, continuous Auto focus and stereo sound. The Phone design and curves look too good compared to phone in the same price range. The viewing angle is not wise. There are other Quad Core Phone available at same price. Sony has most of the Phones targeting the mid range customer. 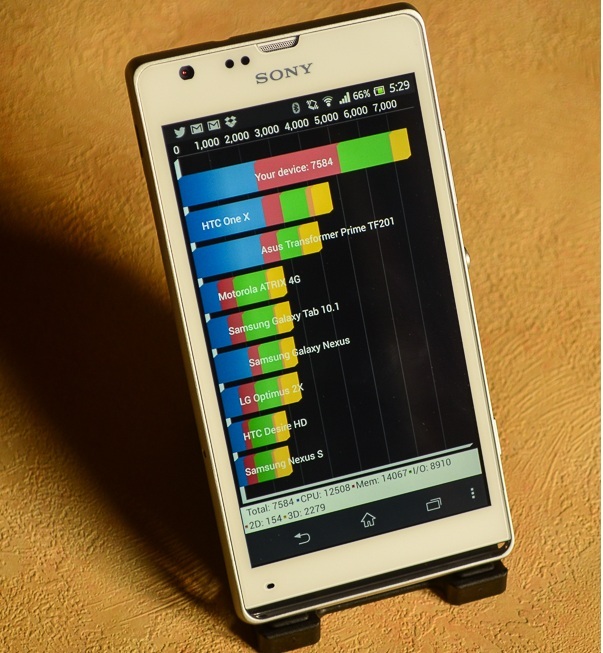 Sony has achieved some good feedback with their flagship device Xperia Z. Sony is trying to milk the mid range market with its Xperia SP and Xperia L. There will be few more devices released by Sony in coming months for the mid range customers. Although, When considered with performance and specs, LG Nexus 4 sounds better but few customers would love Xperia SP with its good music and screen performance. We would love to hear your thoughts about Sony Xperia SP. 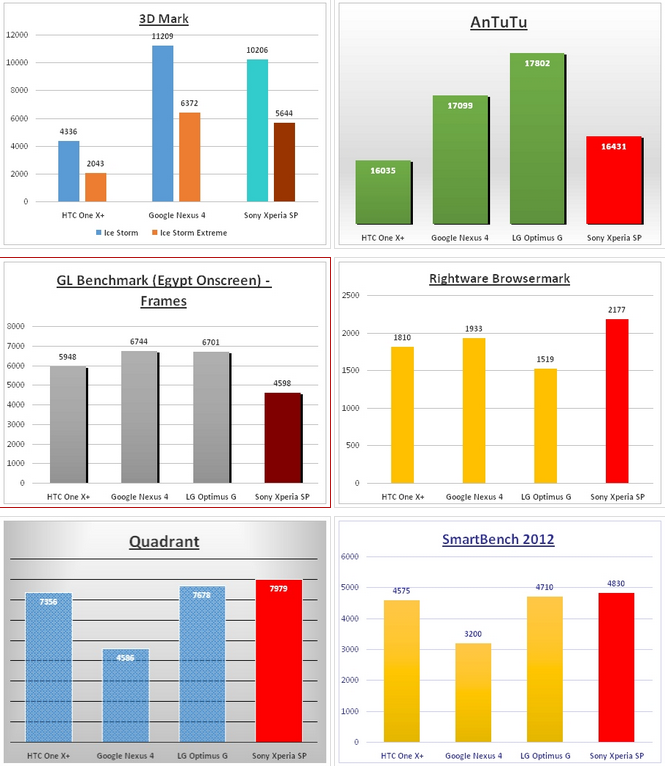 You can also check the performance and Benchmark comparison of Xperia SP, Nexus 4, Optimus G and HTC One X+ below.